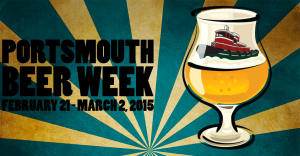 The 6th annual Portsmouth Beer Week is slated for February 21- March 2 this year. The idea for this 10 day beer event train was the brain child of Ian Cowpar and Sean & Ryan Jansen of 2beerguys. As yearly participants of the cult-followed Kate The Great Day at the Portsmouth Brewery, they thought why not start a “Beer Week” in Portsmouth. It would highlight all the “beeriness” the city and surrounding New Hampshire towns have to offer. After collaborating with the Smuttynose and Portsmouth Brewery teams along with local bars, restaurants and breweries, PBW was born. The “week” still ends at the Portsmouth Brewery with Royal Impy Day which features their amazing royal imperial stout. We are anticipating participation from most of the Portsmouth area players as well as some new recruits to the already overflowing list of breweries, restaurants and pubs. Not to be missed events include: The Seacoast Winter Brewfest, Beer run & Beer Runners Film at Redhook and the Chocolate, Cheese & Beer Pairing at Throwback Brewery, all of which have boasted large and happy crowds. The events don’t end here. There will be 30+ beer-centric happenings lacing this beautiful coastal city including week long activities and special events at may locations around town! Once again, participants can earn an Untappd badge (this is the second year). If you are up to the challenge you can now earn a second level badge! This years badge is brought to you courtesy of 2beerguys.com and Granite State Growler Tours and designed by our friend Lester Grinnings. If you are not on Untappd yet, what are you waiting for?! 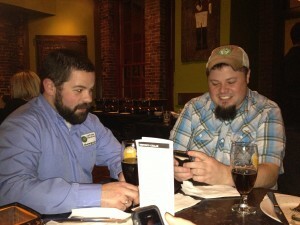 WHYM beer cafe will kick off the weeks events on the 20th with Smuttynose hoppy brown ale, Durty. 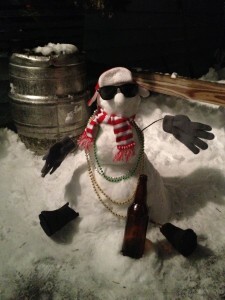 Wear your “best worst outfit ” (think red neck) and win prizes! If you are looking for some Real Ale, aka: Cask Ale, hit up the Coat of Arms, they will host events nearly every night! New New Hampshire breweries are popping up everywhere! Find nearly all of our local gems featured during this coming week! 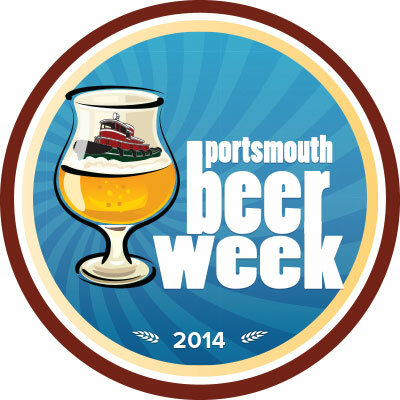 Plan your @portsbeerweek #PBW15 strategy by visiting the calendar of events, “liking” Portsmouth Beer Week and @2beerguys on Facebook and following on Twitter!